This entry was posted in News on March 29, 2017 by John Barrie. Every Catholic should attend Mass each Sunday. – You will find some answers in the Catechism of the Catholic Church and in the Bible. – You will find some answers in the writings of men and women who have studied and taught about this, including Pope St John Paul the Great. – You will find some answers in the lives – and deaths – of heroes and martyrs who grasped the essential point of it all. 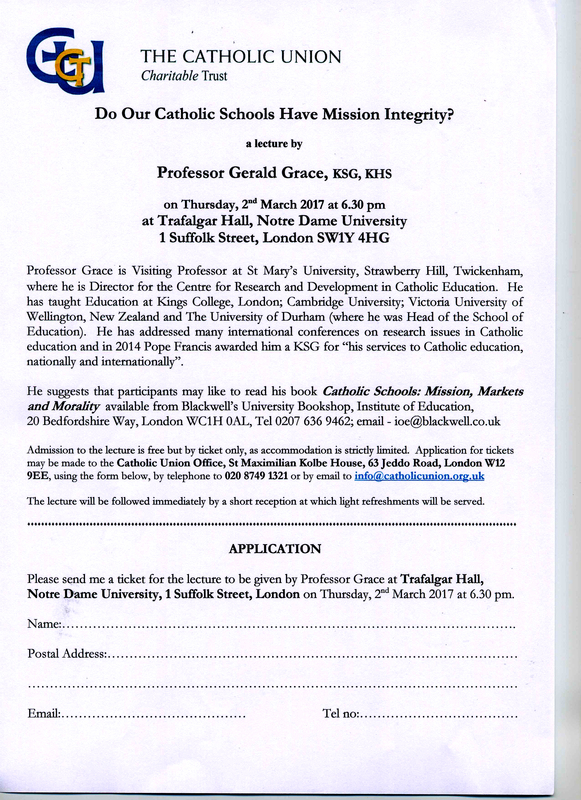 This project is open to all Roman Catholics aged 11 to 18 years, and all pupils at Roman Catholic secondary schools in the United Kingdom. Catechism of the Catholic Church, sections 2168-2195 – and look up some of the Biblical references given. The Martyrs of Abitene, martyred in 303. Pope Benedict XVI spoke about them in May 2005: look up some relevant internet links. This essay is designed to be part of a class effort, so ideally the essays should be gathered together and sent as a group…but individual pupils can send an essay alone if they wish. EACH ENTRY must carry the PUPIL’S FULL NAME (including surname) and date of birth, all written legibly, and the FULL NAME AND POSTAL ADDRESS OF THE SCHOOL. The winner of the best essay will win £50 cash plus book prizes, and the coveted Young Writer Shield, to be kept for one year. There will be a number of runner-up book prizes. The judges will be looking for clear, sincere writing, with reasonable grammar and spelling, with a list of any books or websites consulted. to arrive by May 30th 2017. We are unable to accept entries by email. This entry was posted in News on February 2, 2017 by John Barrie. This entry was posted in News on December 2, 2016 by John Barrie. The winner of the 2016 Catholic Young Writer Award is Charlotte Watson of St Gregory’s Catholic High School, Warrington, and the winner of the second prize is Tom Lees of the London Oratory School. Students at Catholic secondary schools across Britain were invited to write about a saint of the British Isles, and were given a selection from which to choose. Charlotte’s essay on St Thomas More, and Tom’s on St Edward the Confessor were deemed to be of a very high standard. Charlotte wins the coveted Young Writer Shield and a cash prize of £50, and both she and Tom receive a selection of books by Catholic authors. 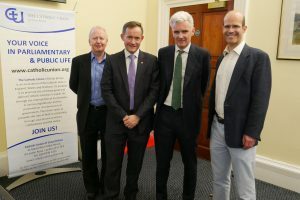 The Award was initiated by The Keys, the Catholic Writers’ Guild of England and Wales, and as it grew larger it was taken on by the Catholic Union Charitable Trust. It now attracts large numbers of entries from Catholic schools across Britain. 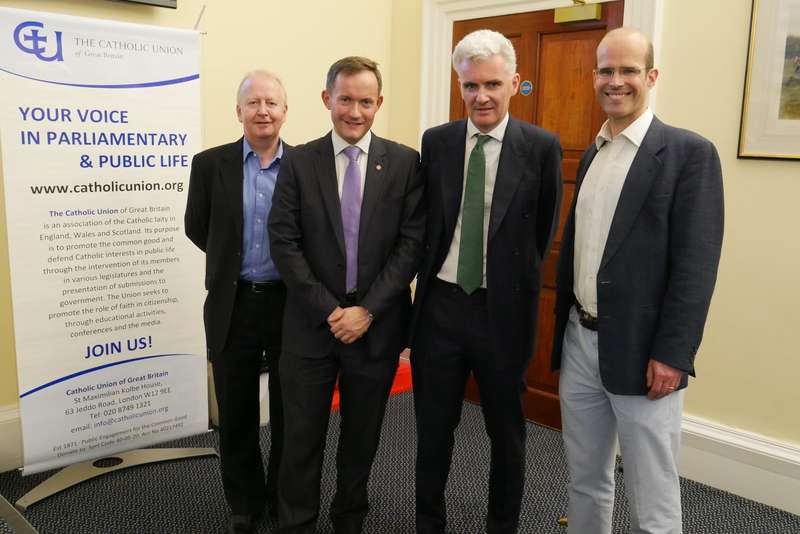 The winning entries, and a selection of the runners-up will be brought to the Annual Meeting of the Catholic Union in London. This entry was posted in News on October 7, 2016 by John Barrie.